John Carter is a former American Civil War Confederate Soldier who, on retirement, has become a gold prospector. When he is leant on to join the fight against the Apache, he flees and finds himself in a cave with some amazing gold seams. At this point, a being appears from nowhere. John Carter kills him and is accidently transported to Mars. 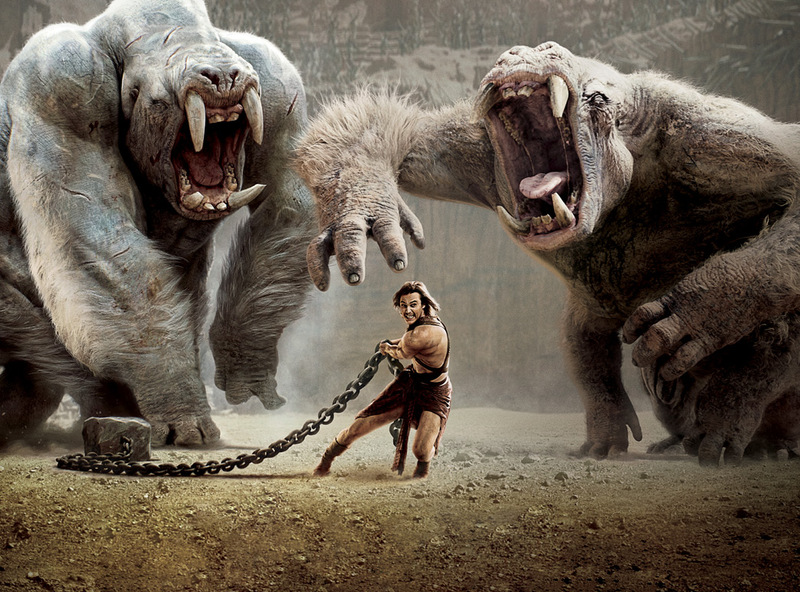 On Mars, there is a war between two cities, but John Carter ends up staying with a peaceful group, the Tharks. As the atmosphere and the make-up of his body varies greatly to that of the creatures of Mars, he is able to leap across the land, making him an asset to any army. The film lost me at the start. It started during the war on Mars, and then skipped back to John Carter’s nephew receiving the will after John Carter’s death, and then went into the story, and by this stage, there were so many threads for me to follow. Once you add in the crazy science fiction names for everything, and I was lost. But I’m so glad I persevered, because it gets great. John Carter has an awesomely dry and wry sense of humour, and the story isn’t as complicated as you thin once you get into it. Plus, there are huge spaceships that explode a lot, and I love explosions. The CGI creation of Tharks were hard for me to get used to at first, but as the personalities came through, I was won over. And then there is that gorgeous dog creature – he’s the best!